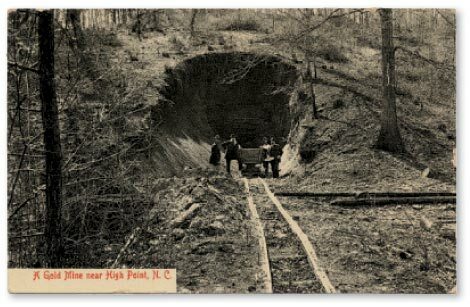 North Carolina was once a gold miner’s paradise. In the 1830s, in fact, there were more than 50 mining operations in the state, and the Bechtler Mint in Rutherfordton served many of them, turning their discoveries into coins and influencing the mode of commerce across the Southeast. That oft-forgotten history is coming back into focus, thanks to a recent push to revive the legacy of the mint. Last year, a coalition of civic and business groups, backed by local government, opened the home of Christopher Bechtler and the refurbished site of his original mint. The story dates back to 1831, when Bechtler, a German immigrant who was making his name as a goldsmith and watchmaker in Philadelphia, moved his family to Rutherfordton to cash in on North Carolina’s golden age. Initially, prospectors in the Southeast had to transport their finds to Philadelphia to be converted into coins, a trek that ate into profits and put them at risk of robbery. Once Bechtler set up shop in Rutherford County, they could count on reputable conversions and less hassle transporting the raw gold. He originally made $5 and $2.50 coins, before minting the first $1 piece, 17 years before the same denomination was pressed in Philadelphia. A three-acre site once owned by Bechtler has been cleared and turned into a park, where a network of trails leads to the mouth of a former mine shaft. The jeweler was also searching to pull gold from the earth. Visitors can’t enter the mine, but they can learn historical nuggets about the mint from storyboards, including the fact that New York investors once paid $1 million for the land after Bechtler’s death in hopes of striking a vein. A trail along a former rail route connects the site, located about three miles outside town, to Bechtler’s downtown Rutherfordton home, built in 1838. The house has been converted into a visitors center and museum. One of the rooms is staged to resemble his workshop and features his original screw coin press, which is on a five-year loan from the American Numismatic Society in New York.